My first 5K, Race for the Cure Seattle. My HOPE was for a sub 30 minute performance. I got a 29:33 and wanted to stop the ENTIRE TIME. I could have given up there and thought "I can't run fast or for long distances!" But I didn't!! 2 years later I qualified for the Boston Marathon. Do you have a Goal? Something that you have ached for but don't believe you can do? My advice START NOW!!! Don't wait! Life passes too quickly and you don't want to sit in your rocking chair and wonder what might have been. I love that your first race was under 30 min and that was slow to you and my current goal is to get under 30 min! Someday I will catch you! I am pretty sure this post was for me! Good gravy. Thank you. My goal is to run the Race for the Cure 5k next month in 30-32 mins. Last year I completed the same race in 38:59, ick. But this year I want to run the entire race without taking the first walk break due to a side stitch or because I think I can't keep running. So, again, Tall Mom, THANK YOU for reminding me that I won't get there by saying, "I can't" or "what if." You bet I have a goal! More than one actually. I am dreaming of a BQ! I set it at 5 year goal. I would also like to complete an Olympic Triathlon. I secretly would love to get a BQ at the 2011 Seattle R n R, I think I can I think I can I think I can. Time to work! So you've always been a fashion trendsetter????? So true! You'll never know what you can do until you try! And, if you're like me (and running didn't come easily), you keep trying and trying and trying until you get where you want to be. Thanks so much for posting this today. I´m heading out for a run!!! It's fun to see how far you have come in such a short time. Thanks!! What a great post for a monday! This post gives me hope. I can run just under a sub-30 5k, but my longer runs are much much slower... The thought of Boston qualifying ever seems absurd... the fact that you did it in 2 years is awesome! and that right there is why I am running a 1:52 half. That and those pacing skills of yours. "If you had started when you first thought about it, you'd be done by now." I have to say that to myself ALLLLL the time. It applies to everything - workouts, housework, paying bills, getting your Masters... LOL. Love this post! Thanks for the motivation! Great post! My first 5k was Nov '08 and I finished in 30:29, now I'm training for my first full marathon! It's amazing what we can do when we set goals and stick with it! And thanks to people like you who continue to inspire us all along the way! After feeling fabulous about jumping back into running post-baby, I had the worst run on Saturday. So slow and horribly uncomfortable and tedious....it was the first time in a very very long time that I though to myself "WHY am I doing this?" Very discouraging. Thank you for a much needed dose of motivation for a new week! No rocking chair for me. I'll be that grey haired 80 year old lady who is running ultras with a smile on her face. What will that be? Day # 14,727.
great post! i current;y don't have any goals that i'm not working towards, but i'd like to comment about goals for other women...this post is great, i think more women should consider the goal/dream of a BQ as a reality. SOOOO many people write it off as impossible but it is possible! it's not gonna happen right away for most people and may take years to do but it is a REAL possibility for most women! i wish people wouldn't file that in the "impossible" section of their brain. even if their "start now" is just start thinking about it now, that's a step in the right direction!!! I will be out on the trails running ultras with Shelly retelling tales of running boston barefoot!!! Mel we were on the same wavelength this morning! Love this - thanks!! love your post. i have a couple of goals that i am working towards and sometimes you just need to reminded to go for it! Heck - I hope that when I have time to sit in a rocking chair - it is empty - because I am still out there running. What a great reminder for me. Perfect for Monday. 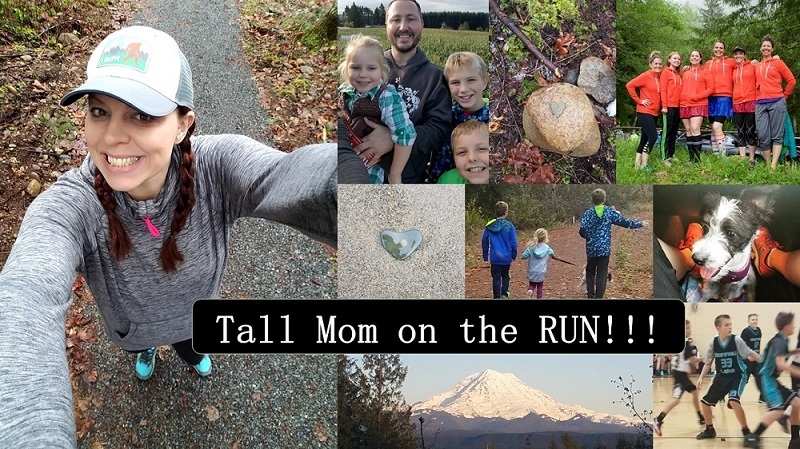 I am running my first 5K this Sunday (race for the cure portland) and am also hoping for under 30. I'm currently training for my first half, in October. I think you also live in WA? I live in Vancouver, WA. Thanks for the reminders...it's possible to reach our goals! You summed up my feelings exactly, i don't want to wonder if I could have done it, I want to know I can! Exactly what I needed to hear. Thanks! LOVE, LOVE, LOVE, this post! Super motivating as always! I needed a little kick in the rear with my running. This post helps. Thanks! Well said!! You are such an inspiration!